BACK ON MARKET DUE TO MEDICAL DELAYS This Beautifully Renovated 2 Bed 2 Bath Corner Unit on the lake (Lancaster Model) w/ Impact windows. Pride of ownership is clearly evident throughout this home. Granite Counter tops, Stainless Steel Appliance less then 2 yrs old (must see quality of the cabinets). This condo boasts an entirely new enclosed porch, less than a year old. Tile Floors along with Updated Waterproof Plank Wood flooring throughout. 2 Walk in closets, high end ceiling fans, New A/C in July 2017, Water Heater Late 2016. 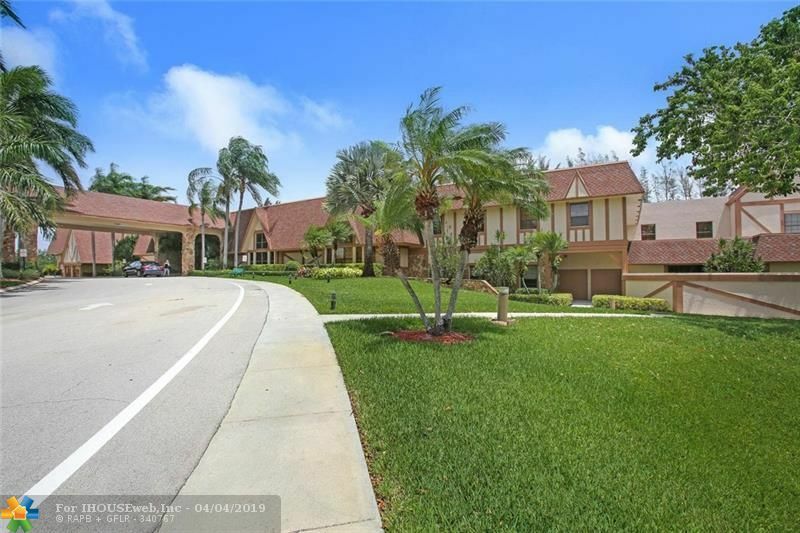 Hunter Douglas Custom Blinds thru out condo, (2) clubhouse(s), indoor heated & outdoor pool, fitness center, tennis, professional shows with top name entertainment, classes, trips, games, and more. This community allows you to be as active as you'd like. Directions: From Rt. 95 To Atlantic Ave, Go West Until Jog Rd, Make Right Turn (North), 2nd Light Is North Oriole Blvd, Make Left Proceed To Guard House.